You can enjoy pretty views from the Sandy Beach Hotel Crete, which sits nestled along the shores of Kavros Beach. A beautiful landscape stretches away from the hotel, with golden sands, bright blue seas, a towering mountain and Lake Kournas all just footsteps away. The hotel is found on a landscape of attractive tropical gardens that lead towards the outdoor swimming pool, which looks out over the beach. Beside the pool you can relax comfortably and soak up the sun on the loungers provided. If you want to explore the local area you can arrange car and bicycle hire with the hotel, who are also there to advise you on local attractions and places to visit. 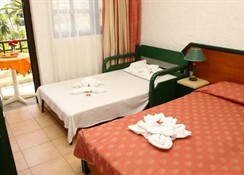 There is also a Wi-Fi hotspot at the hotel for guests to make use of. This peaceful hotel is ideal for families and couples who want to enjoy a relaxed break by the beach, with plenty of opportunity to go on excursions and sightseeing trips. 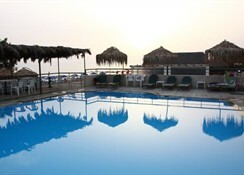 The hotel has a pretty outdoor swimming pool and children's pool which offers views across the ocean. The furnished poolside patio is ideal for sunbathing. There are a total of 71 rooms in bungalow-like buildings, all with modern amenities such as air conditioning, satellite TV, the option of a balcony, and a private bathroom. 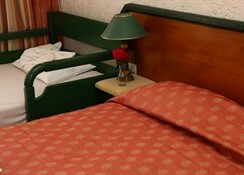 Certain amenities may be payable locally. 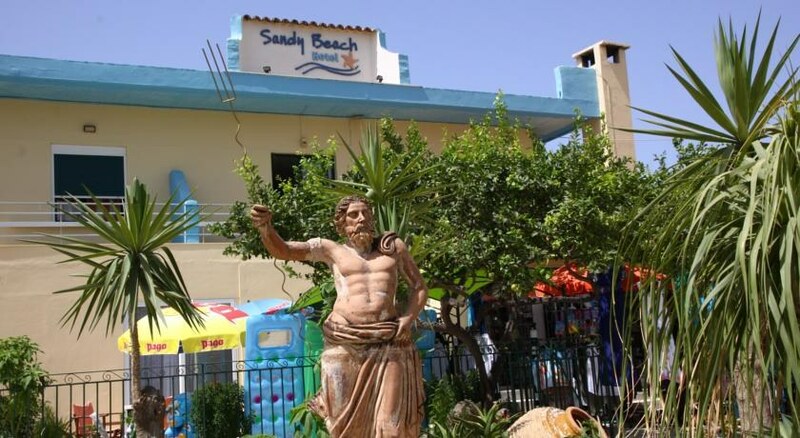 The Sandy Beach Hotel Crete is found along Kavros Beach, within the friendly and relaxed village resort of Kavros.